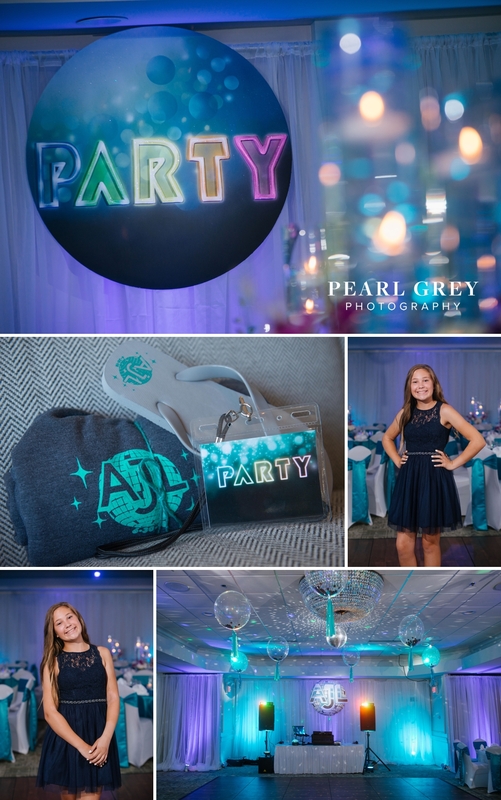 Oh my goodness, I am so excited to finally be posting highlights from Alexa’s amazing bat mitzvah! 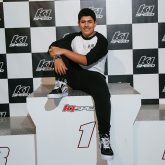 What a fantastic day it was! On the morning of, I met up with the Lewis family who graciously let me drag them out into the sticky summer heat to take advantage of some beautiful outdoor light. 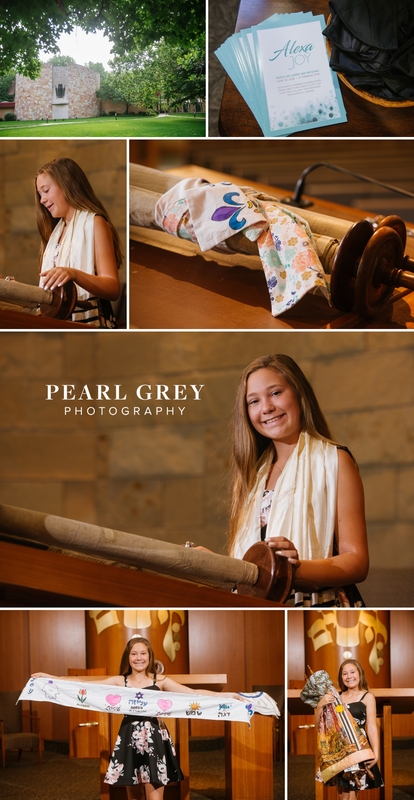 We quickly moved back into the AC for Torah portraits inside the Indianapolis Hebrew Congregation sanctuary. 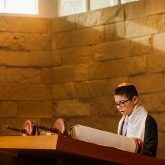 Soon it was time for Alexa to meet with the rabbi. I followed the Lewis family into the office for Alexa to sign her official paperwork. 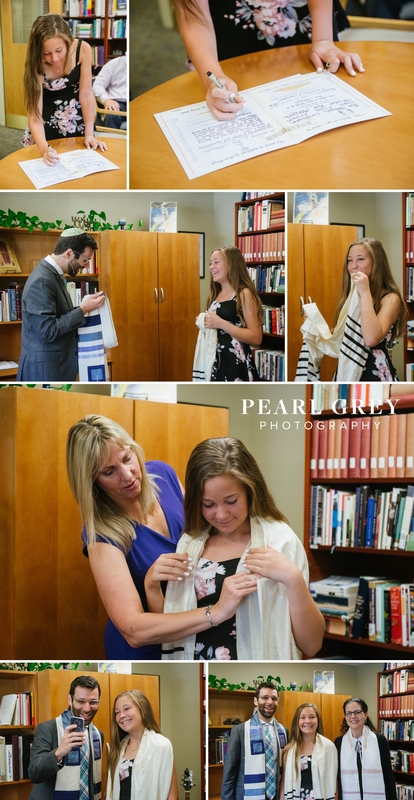 Rabbi Fox gave her some words of encouragement and helped Alexa wrap her grandfather’s tallit around her shoulders. 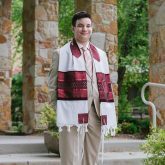 Such a cool way to incorporate her grandfather into her bat mitzvah service! Later that night, I arrived at the Woodland Country Club to find the ballroom completely transformed! 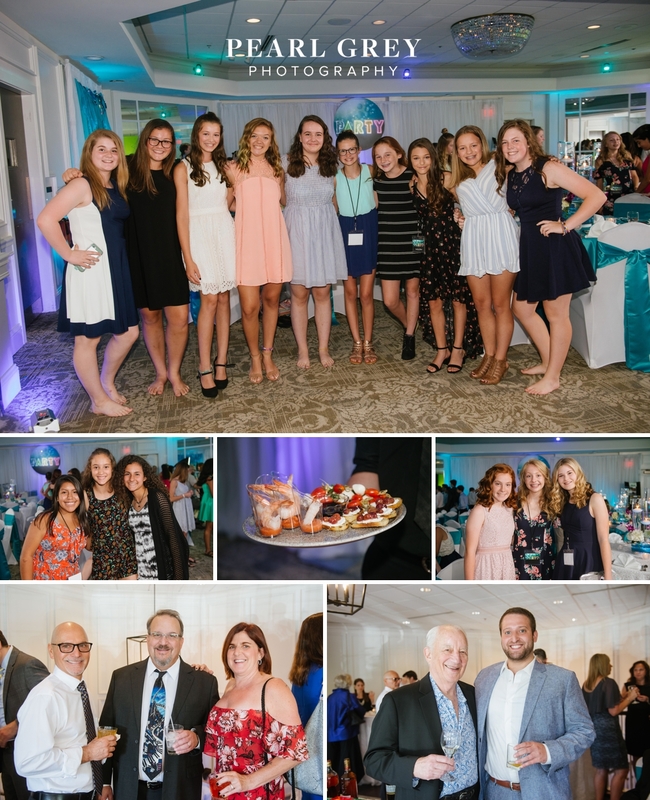 The entire room was stunning – from the sequenced white table cloths to the purple and turquoise uplighting to the gorgeous orchid and candle centerpieces on each table. 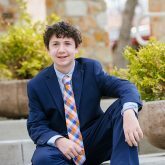 Major props to the team at Anne Rogers Productions for making everything look so awesome! Soon friends and family arrived for the party. 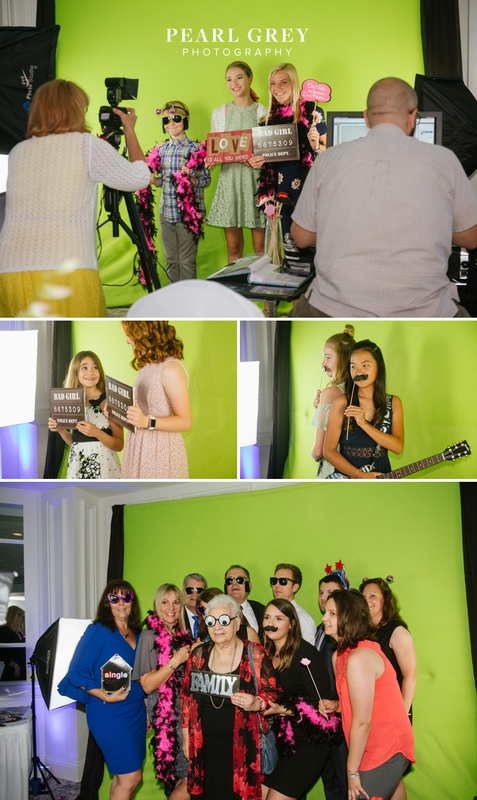 Younger guests were invited into the ballroom to enjoy music and a green screen photo booth, while the adult guests enjoyed a classy cocktail hour with drinks and trays of hors d’oeuvres. After cocktail hour, all the guests were ushered into the ballroom and asked to take their seats as Alexa’s parents, Elliot and Chris, welcomed everyone to the party. Tables were then dismissed to enjoy a delicious dinner buffet in an adjacent room. Once the dinner plates were cleared, it was time for the Hora (my favorite part!). Everyone circled around Alexa as she was hoisted into the air! DJ Tim Fuller didn’t waste any time in getting the party started after that. 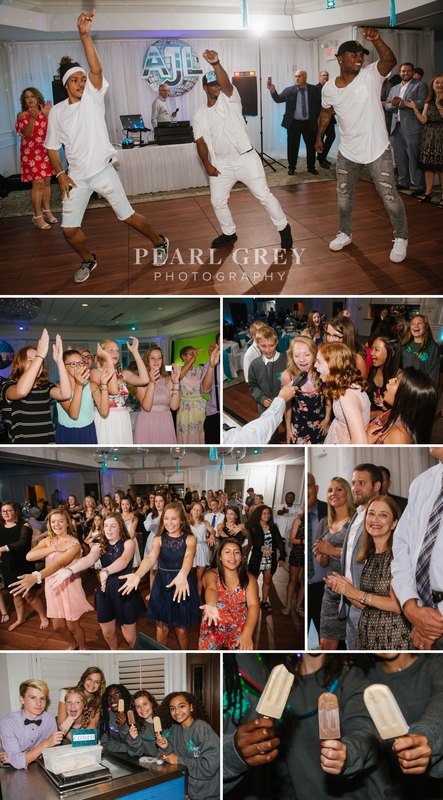 All party goers enjoyed dancing and mingling for the remainder of the evening. As the party came to a close, custom designed sweatshirts and flip flops were given out as well as a popsicle cart, courtesy of Nicey Treat, with some crazy-delicious flavors. A perfect evening to a perfect day! 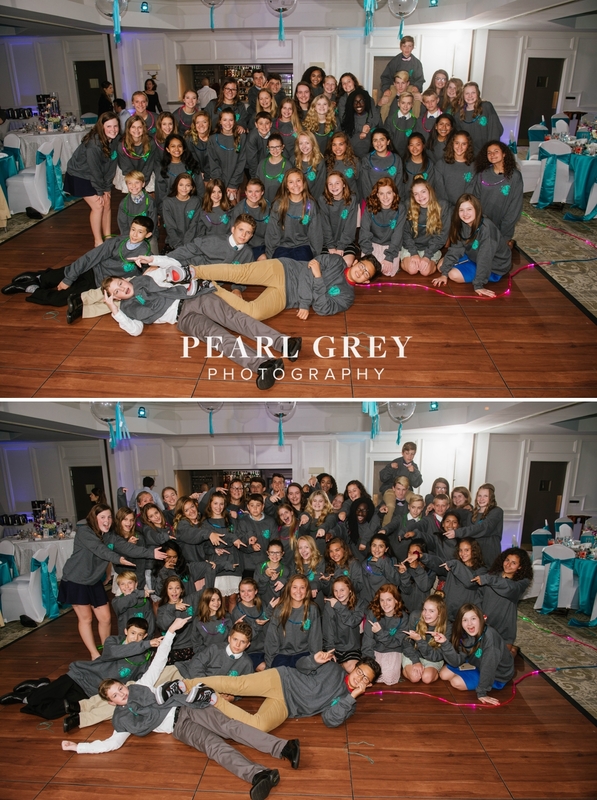 To the Lewis family, I can’t thank you enough for asking me to capture such an incredible event! I so enjoyed working with all of you. 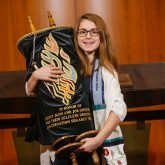 Mazel tov, Alexa!